Two months ago, I traveled to Bintan Island, Indonesia. There’s a unique vihara called Ksitigarbha Bodhisattva Vihara in Tanjung Pinang, capital of Kepulauan Riau Province. What’s so unique? 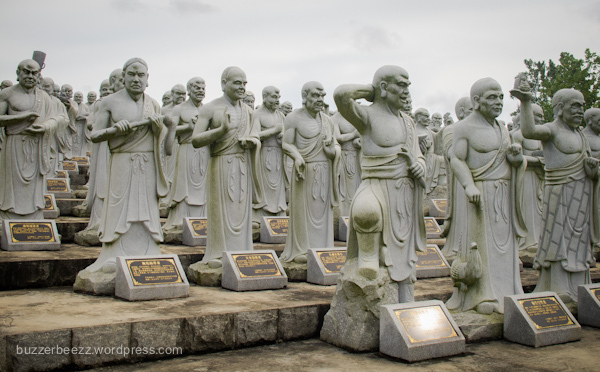 In this vihara, we can see 500 life size sculptures of arahats (in Buddhism, is a “perfected one” who has attained nirvana) stand orderly in rows on each of the steps at the edge of the garden. The names of each arahat appear at the base of their sculpture. Each of the 500 sculptures is extremely lifelike capturing the characteristics, facial features and postures of the arahats. I don’t know Buddhism, but seeing 500 sculptures without knowing what they means (because all of the writings are in chinese letter), it gave me a very unique feeling. If you happen to go to Bintan Island, don’t forget to visit this place, especially if you’re a photographer. Waahh.. Makasih Andri. 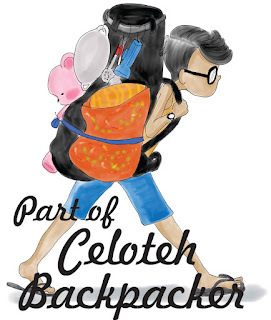 Segera aku kerjakan deh. Hahaha..